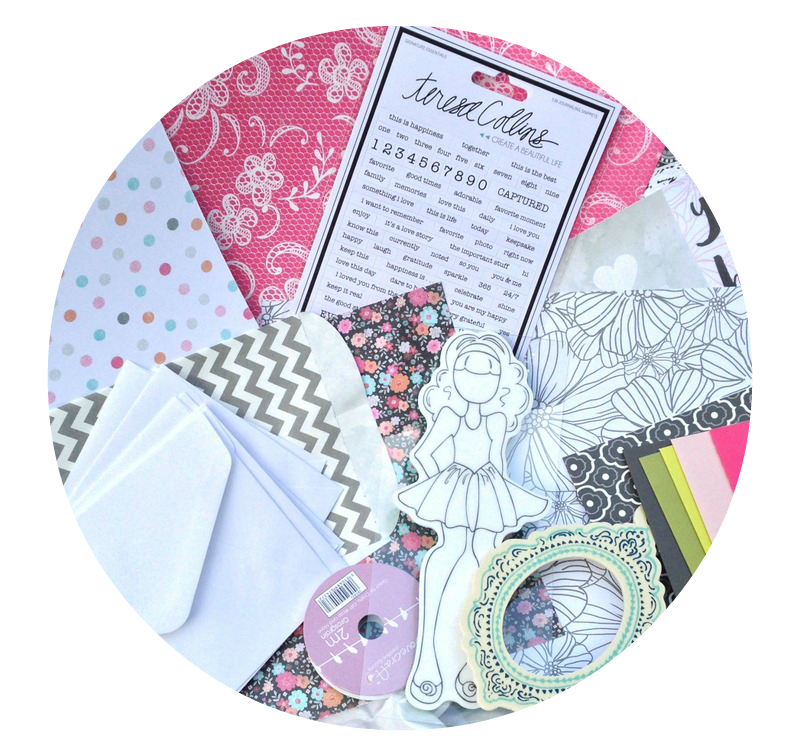 C'est Magnifique Scrapbook Kits and Store: September Card Kit Giveaway! We've added a Card Kit to our monthly lineup, the first kit was revealed with the August Kits. We're excited to offer a kit designed specially for the sophisticated card maker. The September Card Kit will be available for purchase mid-month, but we want to offer one lucky crafter the chance to win it before you can buy it! Here's a little peek at the September Card Kit. Visit the C'est Magnifique Facebook page and "Like," comment and share the September Card Kit photo for your chance to win it before you can buy it! If you're not on Facebook, leave comment a about the September Card Kit here to be entered into the prize drawing. The lucky winner will be announced on the blog on August 17th, when the September Paper and Add-Ons are revealed. I love the sneak-peek - I spy lots of delicious goodies that I'd love to create with! looks like it will be a funny one !!!! I liked your Facebook page, shared this post and also wanted to let you know-I love your papers! They are gorgeous!! Sharing on Facebook page. Very lovely to see a kit like this. I didn't see this card kit posted on FB, only the main kit posts. The last post I see is from 7/31. I did like & leave a comment on the most recent post I saw. Gorgeous card kit, love it all. Would love to win and be able to make some adorable Prima Doll cards, thanks for the chance! Looks like a very fun card kit!! I shared on FB!!! Thanks for the chance to WIBYCBI! Looks like a beautiful card kit! Wow it's a lovely kits! I like this hot pink and gray combo, looks lovely. looks fabulous and girly to me love it! I spy Chevron. Anything is fantastic when it includes Chevron. I know I'll love this kit and be so inspired. I think I see a bit of lace? And the little girl piece would be fun to incorporate into my art.